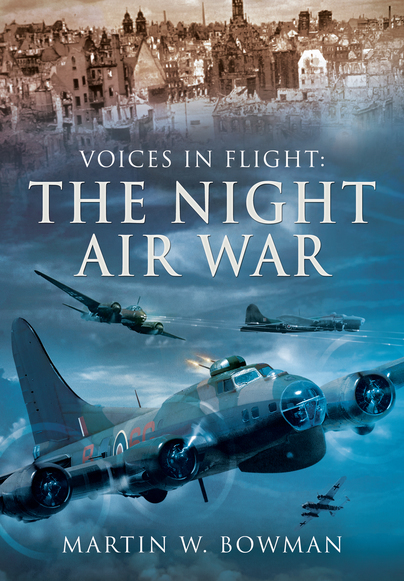 You'll be £25.00 closer to your next £10.00 credit when you purchase Voices in Flight: The Night Air War. What's this? Of the 7,953 Bomber Command aircraft lost on night operations during the Second World War, an estimated 5,833 fell victim to Luftwaffe night fighters. In this detailed re-enactment of the air war over Western Europe and the raids flown by the men of RAF Bomber Command, the author has pieced together official data and the words and memories of the pilots and air crew who participated in the proceedings. Across fifteen chapters, many unique experiences are regaled, enlivening the history of the night bombing raids that were hurled against Hitler's war machine during the latter half of the Second World War. They span the period between November 1943 and 1945 and cover the encounters between the Luftwaffe and RAF Bomber Command during their heyday. 'No Operation Was Easy' was a commonly coined phrase amongst this group who, night after night, struck out at targets such as the 'The Big City' (Berlin), Stuttgart and the Ruhr. These truly epic stories, gleaned from the memories of the men who made up Bomber Command, serve as an appropriate epitaph to their collective effort. This thorough work combines official data with the voices of some of the many airmen who served with the RAF's Bomber Command in their war with the Luftwaffe. Each of the fifteen chapters carries the reader with gripping content, remarkable tales of remarkable men.